NASCAR champion, Darrell Waltrip, was born on February 5, 1947 in Owensboro, Kentucky. Waltrip is a three-time former NASCAR Winston Cup champion, the 1989 Daytona 500 winner, current television race commentator with Fox Broadcasting Company and columnist at Foxsports.com. He is the older brother of current NASCAR driver Michael Waltrip. In the 1983 Pepsi Challenger, the paint scheme also found its way on a Nimrod Racing Aston Martin Waltrip drove in the 1983 Pepsi Challenge. Waltrip started in the Cup level in 1972 with an old Mercury Cyclone which was originally the 1967 Ford driven by Mario Andretti to victory in the 1967 Daytona 500. That car was later rebuilt into a Mercury Cyclone for Rolf Stommelen at Talladega before Waltrip purchased the car and made it the #95 Terminal Transport Mercury. It was his primary car for his first few seasons. As Waltrip moved into the Cup level in the 1970s, his aggressive driving and outspoken style earned him the nickname "Jaws", a reference to the 1975 film about a killer shark. The nickname was given to Waltrip by rival Cale Yarborough in an interview after Waltrip crashed Yarborough out of a race. Waltrip himself preferred the nicknames "D.W." or "D-Dubya" but he did acknowledge Yarborough by displaying an inflatable toy shark in his pit at the next race. The nickname stuck after Waltrip made a now famous comment about one time rival Dale Earnhardt, in which he stated that he could say whatever he wanted about Dale and his team in the news because they "wouldn't be able to read it anyway." At the heights of his NASCAR success in the early 1980s fans often booed Waltrip, but his wit and endearing silliness gradually won over the hearts of most of his critics. Once, as a crowd booed him in Victory Lane, Waltrip silenced the hostile audience by challenging them to "Boo if you love D.W." He also was able to please his sponsor, Mountain Dew, by noticing, "They were saying Dew! ", making his sponsor stand up and be noticed. Waltrip's success helped bring the Buick GNX into prominence, since he drove a Regal (whose platform spawned the GNX) while being sponsored by Mountain Dew, of which the company has honored with throwback paint schemes, once in 2006 and once in 2008. While he won 84 races, one "win" which does not count was as relief driver for Donnie Allison at the 1977 Talladega 500, which Allison gets credit as he started the race. Waltrip had dropped out after 106 laps and because of the heat, was driving the Hoss Ellington #1 Hawaiian Tropic car as Allison's replacement. The irony was Waltrip had replaced Allison at the DiGard #88 just two years previously, and was part of the long lore of the Allisons vs Waltrip battle for 16 years. Waltrip also is known for winning Sprint All-Star Race I in 1985. After helping develop the new Chevrolet Lumina in 1989 to its first victory by winning his fifth Coca-Cola 600 at Lowe's Motor Speedway that May, establishing a record, and preparing himself for a win in the one remaining major which had eluded him since his first race, the Heinz Southern 500 in Darlington, SC, and a one million dollar bonus for winning three of the sport's four majors -- the Daytona 500, the Aaron's 499, Coca-Cola 600, and the Mountain Dew Southern 500 in a single season. The pressure of both the bonus and Career Grand Slam (at Talladega, he had won the 1977 and 1982 Winston 500, which were his first and fourth career wins in majors) affected Waltrip badly, and he hit the wall early in the race and was never a contender. Waltrip was not able to carry his success of the previous year into 1990. Waltrip had failed to visit victory lane all season long. While practicing for his 500th career start at the Pepsi 400, Waltrip spun out in another car's oil, and was T-Boned by Dave Marcis. Waltrip suffered two broken arms, a broken leg, and a concussion. He missed the Pepsi 400, but came back to run one lap at Pocono, before giving way to Jimmy Horton as a relief driver. Despite missing the next five races due to the injury, Waltrip finished 20th in driver points and the team finished 5th in owner points with substitute drivers taking turns in the car -- Greg Sacks finished second at Michigan in August was the best finish of the team's season. The Jeff Hammond-led team scored only one DNF for the season, when Sarel van der Merwe crashed late in the race at Watkins Glen. During the 1989 and 1990 seasons, Waltrip was voted Most Popular Driver by the fans. At the end of the season, Darrell Waltrip and crew chief Jeff Hammond started their own Cup team, DarWal Inc.. During the 1970s, Waltrip had owned his own team until being picked by Bud Moore Engineering. His team continued to serve as his personal licensing agent and operator for many short-track cars he would race at many circuits on non-Cup weekends or special events, and eventually went to Busch Series racing. His first season as an owner/driver was a relatively successful, as Waltrip won twice and finished eighth in points in the #17 Western Auto Chevy. In 1992, Waltrip collected three more wins, including finishing off a career Grand Slam by winning the Southern 500 (the last major race which had eluded his 20-year career), and finished 9th in points. That would be the last time he would visit victory lane in a Cup race. 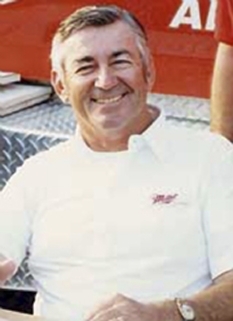 In 1993, Waltrip signed former Richard Childress Racing engine builder Lou LaRosa to build engines and Barry Dodson, a former championship winning crew chief. He posted four top ten finishes, but didn't finish higher than third. 1994 saw him make his final appearance in the top ten in championship points by finished 9th. He had a then-unprecedented streak over two seasons of 40 races without a DNF, all with Waltrip's own engines. His only engine failure in the season was after the car crossed the finish line. In 1995, Waltrip was sixteenth in points when he crashed at The Winston, and was forced to let relief drivers take over for several weeks. His second half of the season was highlighted by his final career pole at the NAPA 500. In 1996 & 1997, Waltrip posted two top-ten finishes. Western Auto remained the sponsor as part of Waltrip's 25th anniversary celebration. While the year was one of Waltrip's most profitable, his results continued to fall off. At the 1997 UAW-GM Quality 500, Waltrip failed to qualify for the first time in over 20 years as Terry Labonte also failed to make the race. Because Labonte was a more recent Cup champion (in fact, he was the defending Cup champion that season), he was able to take the past champion's provisional. Waltrip, who was 20th in owner points, was too low in the owner points position to make the race (only the top four in owner points of cars not in the field, excluding the most recent former champion not in the field, were added after qualifying in 1997 rules). After the season, Waltrip and his team were struggling to find sponsors, but were able to put together a last-minute deal with the Ohio-based company Speedblock for 1998. Speedblock only paid portions of what was promised, and the deal was canceled. Waltrip at this point was nearly bankrupt, and sold the team to Tim Beverly. Beverly chose not to race the team immediately, choosing to rebuild the team (now part of Dale Earnhardt, Inc. after two sales and a merger). During this time, Waltrip signed with Dale Earnhardt, Inc. to drive the #1 Pennzoil Chevy, filling in for injured rookie Steve Park. During his tenure with DEI, Waltrip posted a fifth place finish at the California 500, and led in the final stages of the Pocono 500 and finished in the sixth spot. In 2008, Waltrip admitted the reason that he failed was he only thought like a driver, not as an owner. At the Brickyard 400, Beverly did return the team as the #35 Pontiac Grand Prix with Tabasco sauce sponsorship. Waltrip resigned at the end of the season. After a brief flirtation with retirement, Waltrip signed to drive the #66 Big K Ford Taurus for Haas-Carter Motorsports and teammate with Jimmy Spencer. Waltrip failed to qualify seven times during that season with a new qualifying rule for the Past Champion's Provisional. During his retirement year of 2000, Waltrip's best run came at the Brickyard 400, where he qualified on the outside pole and finished eleventh. He finished 36th in points that season. In 1995, Darrell Waltrip built a Craftsman Truck Series team, and found success by 1997, when Rich Bickle finished second in overall season standings and winning three races, and made Waltrip one of a few car owners to have won races in NASCAR's three national series. When Sears ceased sponsorship of both teams in 1997, he suspended the Truck team, not returning until 2004 as part of Toyota's NASCAR development. 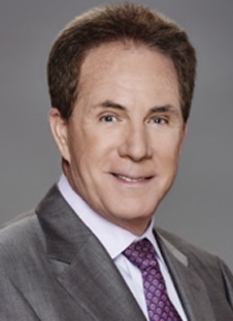 After his 2000 retirement, Darrell Waltrip signed with Fox to be one of two analysts on the network's NASCAR telecasts. Waltrip had done several IROC broadcasts prior to his signing during the 1999 and 2000 seasons. Waltrip began his career with Fox by calling the 2001 Daytona 500. His brother Michael Waltrip won the race, but Michael's victory was overshadowed by the tragic death of Dale Earnhardt. A week after Daytona, Waltrip interviewed NASCAR President Mike Helton for a pre-race segment during the broadcast at North Carolina Speedway (Rockingham). 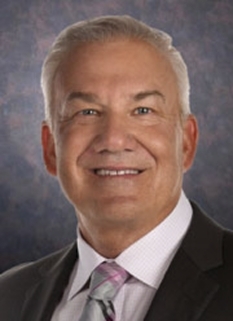 Waltrip believed that four deaths in the previous ten months, all caused by basilar skull fractures incurred in accidents, was too many, and he was not shy about asking Helton for an explanation. Helton's responses irritated Waltrip, who was referred by one magazine as "acting a lot more like the next Mike Wallace (of 60 Minutes) than the next John Madden." He then pushed for mandatory head-and-neck restraints, and two weeks later, demonstrated the device during the broadcast in Atlanta Motor Speedway, explaining the device. Seven months later, NASCAR mandated the devices after a crash during an ARCA Re/Max Series race held after qualifying for the UAW-GM Quality 500 killed driver Blaise Alexander. As the cars take the green flag to start each race, Waltrip shouts "Boogity, Boogity, Boogity!" (sometimes also including "Let's Go Racing, Boys! "), a nonsense phrase that has become his trademark in recent years. (The phrase appears in the 1960 doo wop parody "Who Put the Bomp" by Barry Mann.) The story Waltrip has told about this is that, as a driver, he got tired of hearing his spotter or crew chief say "green, green, green" at the start of every race and wanted to hear something more original. The catchphrase is always preceded by fellow analyst and former crew chief Larry McReynolds telling Waltrip to "reach up there and pull those belts tight one more time!" He also lends his unique wordings to his commentary, talking about "co-opitition" when racers work together, but keep each other under a watchful eye, "s'purnce" when talking about driving skills of a veteran driver, and "using the chrome horn", when a driver somewhat purposefully bumps a car that's in the way. Bumpers on cars used to be made of metal and coated in chrome. 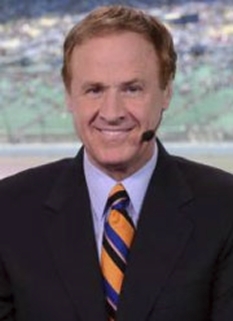 In early 2007 Waltrip was nominated for an Emmy in the category "Outstanding Event Analyst". Darrell Waltrip fielded a Toyota sponsored by Japanese industrial giant NTN for his Craftsman Truck Series team in 2004. David Reutimann drove the truck for the team and earned Rookie of the Year honors that year. Waltrip's team expanded to two trucks in 2005. In August 2005, the revived Darrell Waltrip Motorsports won its first race, the Toyota Tundra 200 at Nashville Superspeedway with Reutimann driving. During the 2007 season, A.J. Allmendinger drove the #00 Red Bull Toyota but with minimal success. By years end the team was sold to Andy Lally and Road Racing "Super Team" The Racer's Group (TRG). The team is now the #7 Chevrolet driven by Lally, Darrell Waltrip is now completely unaffiliated with his former team. Waltrip has made occasional starts (three or less each year) in the Craftsman Truck Series and Busch Series since his "retirement" in 2000. Each of these races have been either at Martinsville Speedway or Indianapolis Raceway Park. Waltrip was the honorary starter at the 2007 Food City 500 and was also the honorary starter for the 2008 Gatorade Duel as Gatorade was one of Waltrip's former sponsors. He also started/completed a Busch Series race at Martinsville in his brother's "Aaron's Dream Machine". Waltrip's entertainment appearances were influenced by his early 1970s work with Ralph Emery in Nashville radio, and that led to his work as a fill-in for Emery. In the 1980s and 1990s, he would substitute for Emery on The Nashville Network's Nashville Now and later hosted himself the network's two successor variety shows, "Music City Tonight" and "Prime Time Country". Waltrip worked on Days of Thunder as Hendrick Motorsports was a major provider of cars and drivers (he helped hire Bobby Hamilton for the project), and one of his injury substitutes was lead stunt driver Greg Sacks. Waltrip has twice been a presenter at the GMA (Gospel Music Association) Music Awards, partnering with Kathy Troccoli both times. In 1999, they presented the "Song of the Year" award to Mitch McVicker and Rich Mullins for "My Deliverer". Rich Mullins and Mitch McVicker were thrown from their truck after not wearing seat belts, and Mullins was killed in the accident. In 2006, Waltrip and Nicole C. Mullen hosted a DirecTV special, Songs of Faith. Also in 2006, he played a color commentator for the Disney/Pixar movie Cars. He played the role as Darrell Cartrip, an obvious pun on his name. He also appeared in the broadcast booth in the movie Talladega Nights: The Ballad of Ricky Bobby where his phrase was "in racing you have good days and bad days and Ricky Bobby just had himself a bad day". On December 15, 2006, Waltrip played the role of "Mother Ginger" in the Nashville Ballet's production of The Nutcracker. Darrell Waltrip currently appears in advertisements for Toyota and Aaron Rents alongside his brother, Michael, where his gimmick is constantly asking Michael's permission to drive the Aaron's Dream Machine (a nickname for the #99 Nationwide Series car). Waltrip has also made a number of appearances in comedic segments appearing during his actual Fox broadcasts. Waltrip has also been successful in the publishing field. In September 1994, he was featured as the cover story in Guideposts, which was also featured during his final race in 2000. 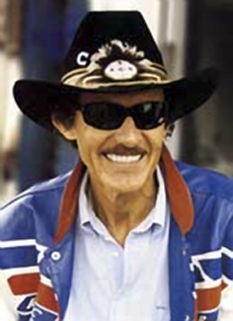 His autobiography, DW: A Lifetime Going Around in Circles, was a New York Times best-seller when it was released around the 2004 Daytona 500. The book was co-written with Jade Gurss. DISCLAIMER: PFP Sports Talent Agency does not claim to represent itself as the exclusive agent for Darrell Waltrip. PFP Sports Talent Agency is a booking agency that represents organizations seeking to hire pro athletes and sports personalities such as Darrell Waltrip for speaking engagements, personal appearances, product endorsements and corporate entertainment. Fees on this website are estimates and are intended only as a guideline. Exact fees are determined by a number of factors, including the location of event, the talent’s schedule, requested duties and supply and demand. PFP Sports Talent Agency makes no guarantees to the accuracy of information found on this website and does not warrant that any information or representations contained on this website will be accurate or free from errors. We are often asked how can I find out who is Darrell Waltrip's agent? To find Darrell Waltrip appearance fees and booking agent details, you can contact the agent, representative or manager through PFP Sports Talent Agency for speaking fee costs and availability. PFP Sports Talent Agency can help your company choose the ideal sports personality for your next marketing campaign. To hire Darrell Waltrip for an appearance, speaking event or endorsement, contact Darrell Waltrip's booking agent for more information.